Tuesday, December 19, 1911: Fixed up some for Christmas although I guess no one is coming. I like to have things seem like it ought to. Jimmie is so anxious to know what I got your highness. Recent photo of the house Grandma lived in. 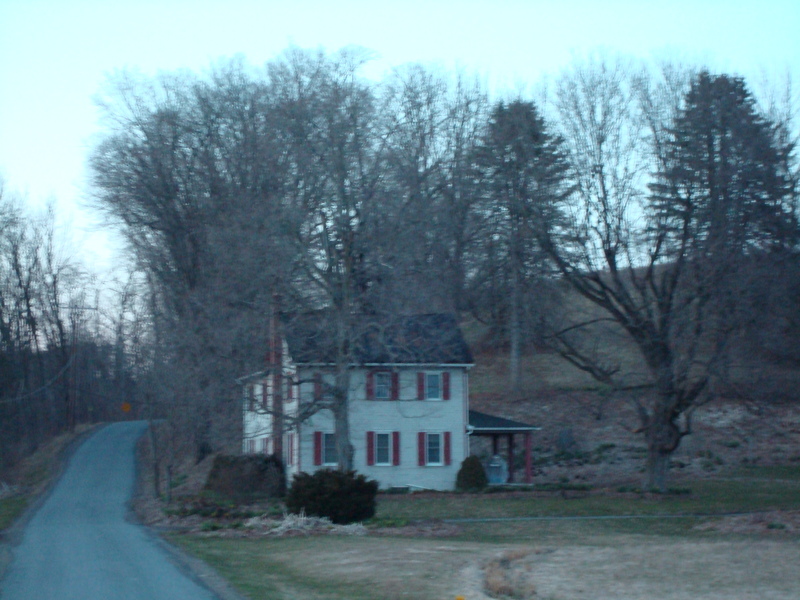 The photo was taken at dusk on a December day. Throughout most of December the diary entries indicated that Grandma was looking forward to Christmas. What could have possibly been wrong? The diary provides no clues. Was someone ill? . . . .Had there been a disagreement with someone in the extended family? Jimmie was Grandma’s 6-year-old brother. I think that “your highness” refers to their older sister Ruth. In the diary when Grandma was annoyed with Ruth she used other terms and nicknames (such as Rufus) for her sister. Posted on December 19, 2011 December 19, 2011 by SherylPosted in OtherTagged 100 years ago, 1911, diary, hundred years ago. Indeed,this entry had a sad feel to it. Guess we will have to wait 6 more days to see how Christmas turns out.